Why is it difficult to enjoy your visit to Disneyland? The problem with making the most of your visit to Disneyland is that this place is busy. 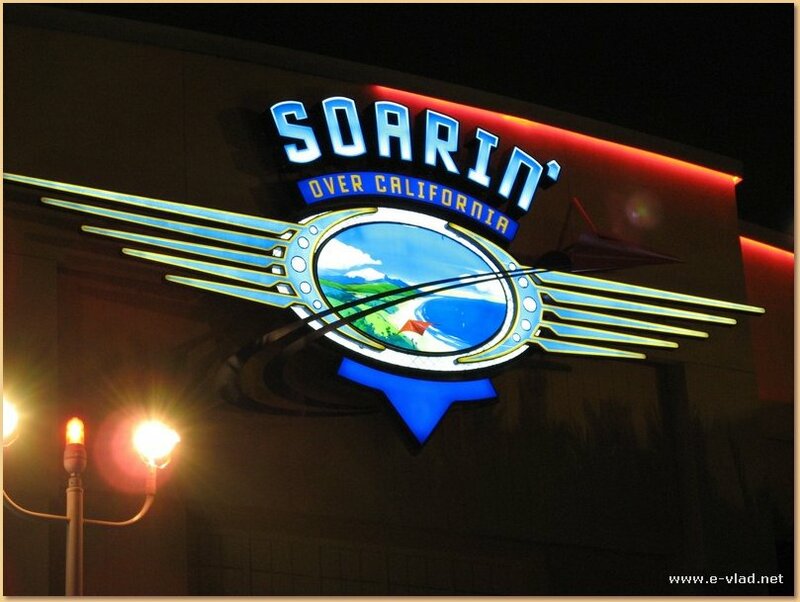 Both Disneyland and California Adventure theme parks are very busy all throughout the year. 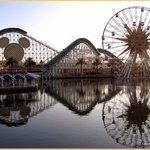 How busy are Disneyland and California Adventure theme parks? For example, in 2008 we visited Disneyland with some friends from out of state and we went on a Friday during Easter break. We waited close to 3 hours in line for the Finding Nemo submarine ride. It was hot and unbearable, but because our friends had very little flexibility, we had no choice. 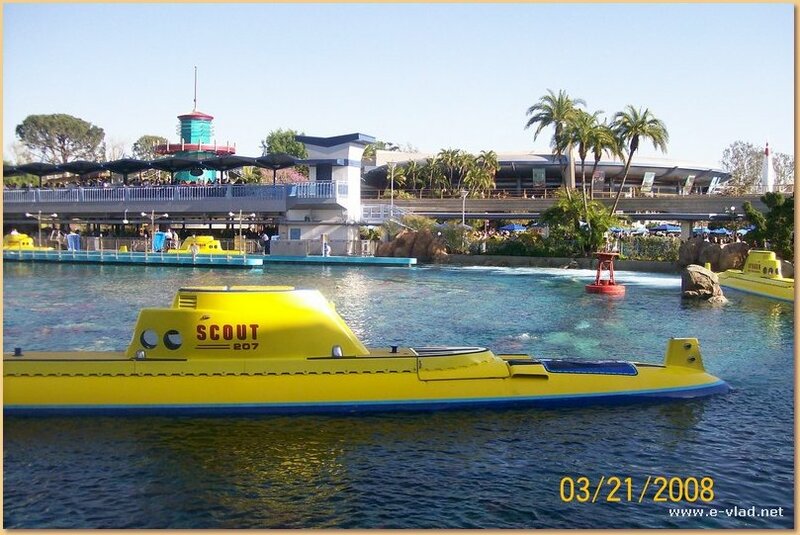 Disneyland, California – The Finding Nemo ride is very popular for families with small children. The wait can be 3 hours long during the weekends and summer break. During this visit my wife said that Disneyland was no longer an amusement park but a frustration park. If you are flexible however, and can avoid the peak visiting time, that same 3 hour wait time can turn into a 40 minutes wait time. Big difference! Can you do anything to maximize your visit to Disneyland? The answer is yes! There is only one thing you need in order to have a chance of avoiding the busiest times. The one requirement you need for avoiding the busiest times at Disneyland is to be flexible. You need to be flexible as to what time of the year you visit and also be flexible as to what days of the week you visit. If you are not flexible and have to visit on a certain day, just go but be prepared to wait a long time in line and just lower your expectations about what you will be able to see. The worst times to visit Disneyland California are on weekends, on national holidays and then pretty much when school is out. Summer is the busiest time at Disneyland. This means that pretty much anytime from mid April to middle September is the worst time to visit Disneyland. The next worst time is during spring break. However spring break in Southern California starts sometime in the middle of April and it goes through to the beginning of May. 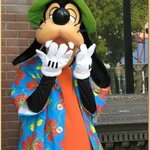 The best times to visit Disneyland California are right after the winter holidays starting with the last week of January through the month of February and the first two weeks in March. In addition, after speaking with Disneyland employees we found out that the best days to visit Disneyland California is on a rainy day. A friend of mine also said that if you go on a rainy day it doesn’t mean that the park is deserted. There are lots of people, but it is indeed much less crowded. The only other thing that you can do to enjoy your visit to Disneyland and California Adventure theme parks is to get fast passes. 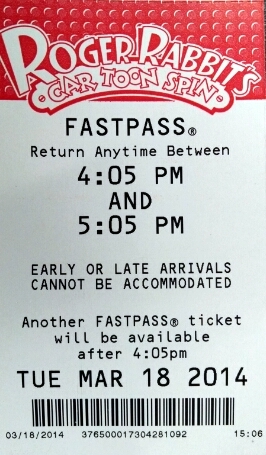 Fast passes are a piece of paper that allows you to come back to one of the popular rides in a given time period through that day. Disneyland, California – A Fast Pass for the Roger Rabbit ride in Mickey’s Toon Town. Are fast passes worth your effort? Yes! Fast passes are definitely worth your effort and they’re definitely worth you planning when to see the most popular rides at Disneyland and California Adventure. Not all rides, not even all popular rides have fast passes. So you must take advantage of those who do you have fast passes. How much time does a fast pass save you at Disneyland? Well it really depends on how busy the park is and what the ride is but on average having a fast pass will cut your wait time at least in half and that is significant time saving that will allow you to enjoy other parts of the parks.